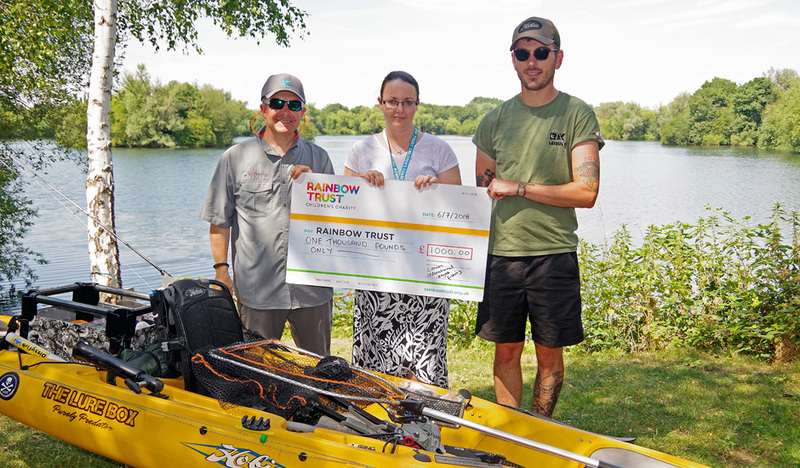 The London International Kayak Fishing Festival was held on 8-10 June at RK Leisure in Wraysbury and featured a mega raffle, raising £1,000 to help support families with a seriously ill child. The event attracts more than 70 kayak fishermen from 11 different countries across the world. This year’s winner, Lars Lundberg from Sweden, will be representing the European Hobie Kayak Fishing Team at the upcoming World Championships. “The London International is now the unique event I always wanted it to be. We are delighted that we have been able to raise funds for Rainbow Trust, which is a truly worthy cause, offering support to families who are in desperate need of it.”.